NHL News : Hall of Famer joins Kings' staff to move the team in right direction! Hall of Famer joins Kings' staff to move the team in right direction! This could be a game-changer in LA! The struggling Los Angeles Kings fired head coach John Stevens on Sunday just 13 games into his second season in charg and named Willie Desjardins as the Kings’ interim head coach for the rest of the regular season. Los Angeles also fired assistant coach Don Nachbaur and hired former Kings forward Marco Sturm to replace him on Desjardins’ staff. Do not get your hopes up, Kings fans, Joel Quenneville will not be coming to your aid. The veteran head coach was fired from the Chicago Blackhawks earlier today, however, the plan to trust Desjardins with the coaching responsibilities has not changed. 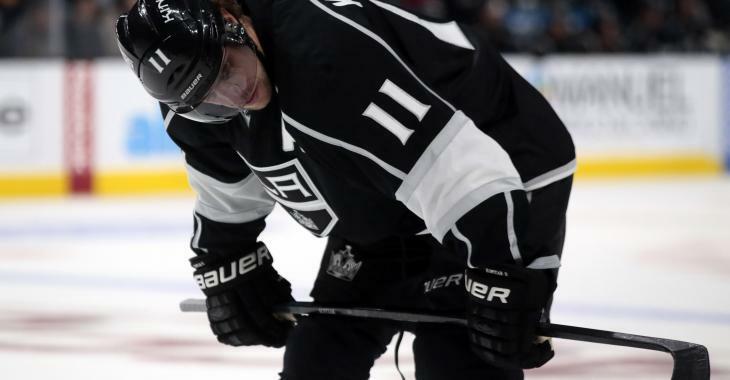 However, according to team insider The Major John Hoven, the Kings have made quite the significant staff move on Tuesday to help the team head into the right direction for here on now. LA Kings have reached a consulting agreement with Adam Oates, CEO of the Oates Sports Group. As part of the agreement, Oates will provide the club with advice regarding player skills evaluation and development," Hoven posted the news on his Twitter account. Oates, the 18th-best point producer in league history, was leading sessions as a skills coach during the offseason and his knowledge of the game will surely help the Kings from now on, as they desperately need it. Oates entered the Hockey Hall of Fame in 2012, eight years after his brilliant 19-year NHL career came to a close. He never won a Stanley Cup but with 1,337 games under his belt he retired as better than a point-a-game player (341 goals, 1,079 assists). Only six players in history registered more helpers than Oates. This is something the Kings will greatly benefit from.